New .NET Product Structure: When to Choose What? 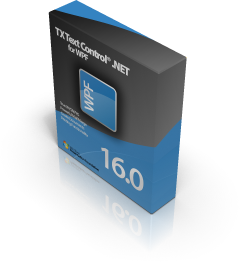 The Windows Forms version has been renamed to TX Text Control .NET for Windows Forms. As in previous versions, the server version contains an Enterprise client license. Now, that we have Windows Forms and WPF client products, we introduced a new separate server version for WPF. So, which classes are included in the different versions? The client version in this package enables you to create web applications to edit documents in a browser. The BrowserTextControl from version 15.1 has been replaced with the compatible TextControl class. The WPF client license in this package enables you to create XBAP web applications to modify documents in a browser. It can be perfectly used in combination with the ServerTextControl class used in WCF / RIA web services.